I’m not a Lostie. I didn’t watch any of the first season. But my wife got into it and eventually I started watching to, catching maybe half of the remaining episodes, enjoying them enough that I was into the characters and the storyline. Maybe not as much as some who watched from the beginning, but enough to look forward to the episodes I could catch. I understand that the writers, from what they’ve said, view Lost as a character-driven show. And there were characters I enjoyed, most of all Daniel Faraday, Sayid, and John Locke. The writers emphasize this because they know that those who are into the show because of the mythology were going to be disappointed. And, I, being one of those that was more interested in the mythology, was disappointed by Lost’s end. The final episode was all about the characters and not at all about the mythology. Not a single new insight was revealed. The writers state that the mythology doesn’t matter, that the show was always about the characters. I don’t buy it. The mythology — the mystery of the island — was the hook that gave Lost that unique spin at the beginning. The characters were extremely important, but so too was the island itself. And nothing was revealed about what the island was. Based on what Jack’s dad said, we can infer that the island was a real place. And the fact that characters came to the island and left again for the outside world also implies that the island was a real place in the real world. However, how does a place with the strange properties of the island exist in the real world? What does it represent? Where did it come from? How does it have the properties it does? Whether pseudo-science or magic, the island was not something of the normal world. What was it exactly? The more I’ve dwelt on it, the more I wondering if there was no real rhyme or reason to the island. Things were just random. Strangeness comes and goes with no explanation. The time travel was central for a while, but then it was dropped, especially the whole time-works-differently meme that Faraday explored. I missed the polar bear, but that seems to have never come up again. The temple seems to be another example of this. It almost feels that the island was one big Duex Ex Machina who’s only purpose was to throw obstacles into the characters’ ways, to cause confrontation. I’ve seen others wonder the same. I don’t mind that random things happen to the characters. That’s the way life is. But, there has to be order to what can happen. Lost didn’t have that. In my opinion, the mythology of the show is just not self-consistent or fleshed out, probably not even to the writers. If you create a world for your characters to play in, it should be the first rule that you make the rules of the world consistent, that they have some logic and reason behind them. They don’t have to have anything to do with our world, and can involve magic or super-science, but they have to have order to them. The mythology of the island doesn’t seem to. Why was it so bad for the Man in Black to leave the island? What would happen? What would happen if the island had been destroyed? These fundamental questions to the show’s premise were never even touched upon. I’m also annoyed, as I was with Battlestar Galactica, that, in the end, the struggle between faith — embodied by John Locke — and science/reason — personified by Jack Shephard — ended with faith essentially winning out. Jack embraces the mystical of the island, embraces the destiny that John had always told him was there, and becomes the protector of the island, on faith. And the last scene is nothing except a homage to faith and an afterlife. Reason loses out, just as it did in Battlestar Galactica. 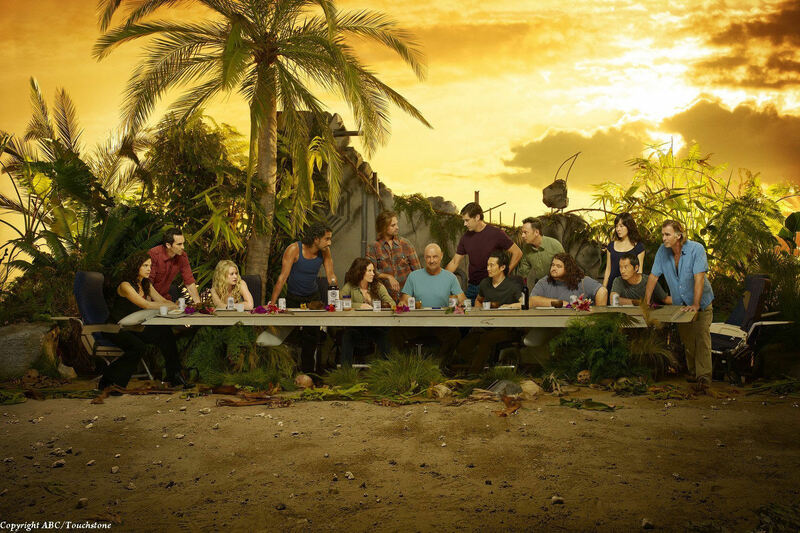 Overall, what I did watch about Lost I enjoyed. I especially liked the story-telling devices: the flashbacks, the flash-forwards, and the flash-sideways. I liked that there was no black and white, that even the most despised characters — Linus and the Man in Black — were nuanced characters with motivation (though the Man in Black became pretty one-dimensional at the end). There was a lot of positive to the show. But, there was enough negative that left me overall disappointed with the end result. Maybe the writers do have a coherent idea of what the mythology of their world is. If they do, I didn’t see it.